Who said long distance was tough? 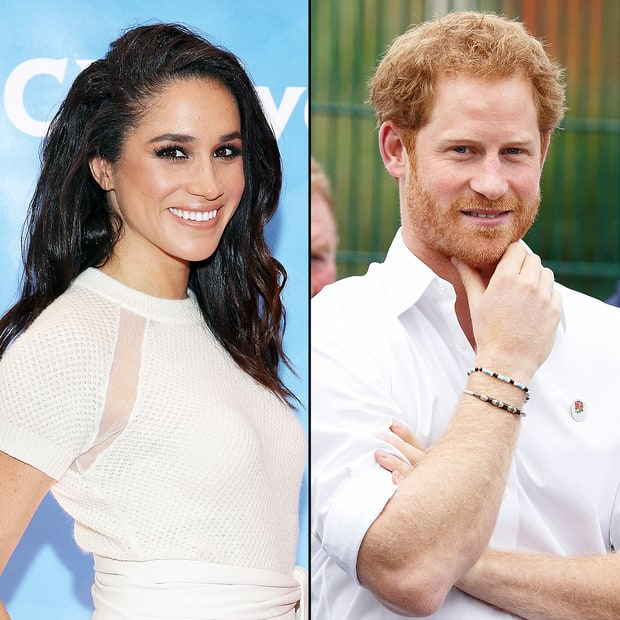 Just two weeks after Prince Harry spent time with girlfriend Meghan Markle in Toronto, the philanthropic actress has returned his romantic gesture and flown to London, sources tell Us Weekly. With Suits on a brief filming hiatus, Markle, 35, recently made the seven-hour journey to Britain&apos;s capital and is currently ensconced at the prince&apos;s Nottingham Cottage home at Kensington Palace. "Meghan was able to find time to visit Harry," says a source. "It won&apos;t be a long visit as they both have packed schedules, but they&apos;re always so happy to be together." Indeed, while Markle is in London, 32-year-old Harry&apos;s busy schedule of royal engagements continues. On Thursday, November 10, the prince joined grandfather Prince Phillip to pay their respects to the nation&apos;s fallen heroes at Westminster Abbey&apos;s Field of Remembrance. Saturday sees the hardworking prince and Rugby Football Union patron attend an England vs. South Africa match. And on Tuesday, November 15, he will visit sexual health charity NAZ as part of his continued work to increase HIV and AIDS awareness around the world. Adds the source of Harry and Markle, "They have so much in common. You can&apos;t not fall in love with them as a couple after spending time around them together." Earlier this week Harry — who will leave for a 14-day tour of the Caribbean later this month — confirmed the pair were in a serious relationship after he asked Kensington Palace to release a statement condemning social media trolls and numerous British media outlets for racist and sexist treatment of Markle. "The past week has seen a line crossed," Harry&apos;s spokesman Jason Knauf wrote in a November 8 statement. "His girlfriend, Meghan Markle, has been subject to a wave of abuse and harassment. … Prince Harry is worried about Ms. Markle’s safety and is deeply disappointed that he has not been able to protect her. It is not right that a few months into a relationship with him that Ms. Markle should be subjected to such a storm." Markle was originally due in London last weekend but was forced to cancel plans due to scheduling conflicts at work and worries about security after a freelance photographer had tried to break into her Toronto home. "She was totally shaken up," a separate source tells Us.